The ConvaTec GentleCath Intermittent Urinary Catheter facilitates routine catheterization to drain urine from the bladder. ConvaTec manufactures a variety of GentleCath style options to accommodate the male and female urethra. 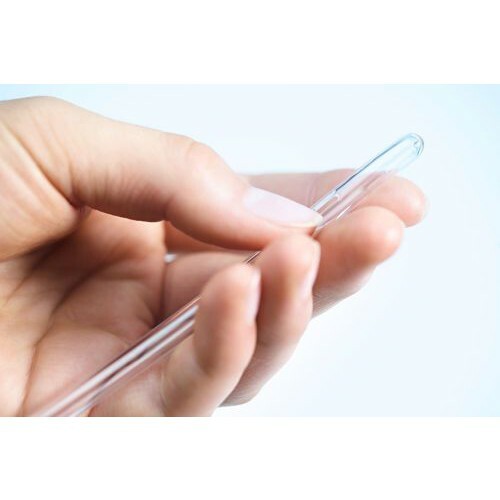 This urinary Intermittent Catheter is designed with a soft, rounded tip with polished and round eyelets to minimize friction for gentle insertion. This aids in patient comfort during insertion but at time of removed as well. There are both female and male straight tip options with the addition of the Tiemann catheter tip used for more complicated urethra passages. The Tiemann is longer and narrow with a coude-tip that's angled upward to navigate the upward bend in a male urethra. ConvaTec GentleCath Intermittent Urinary Catheters are made of medical grade PVC and are latex-free. Choose from a variety of lengths and french sizes with a color-coded connector for easy french size identification by medial staff. The catheters are available for purchase as a single catheter or a box of 100. 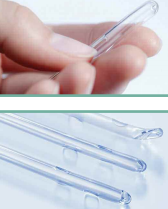 ConvaTec also manufactures a complimentary adhesive to conveniently anchor urinary catheters or medical tubing. Check out Flexi Trak Large Anchoring Device for fast and easy anchoring of the urinary catheter without irritating the skin. is it possible to get 5 or 6 to see if i like them 16" #14 or a little larger interment catheter? We do sell individuals pieces of the length and size you're looking for. You'll find it under this item number: 501014. What is the difference between convatec gentlecath catheter 508997 and 501004??? Item 501004 measures at 14 French and 16 inches. Item 508997 is a 16 French, 15.7 Inch. will this fit securely on slip tip syringe? I assume this can be used as needed rather than extended time. These are intermittent catheters, which can be used at irregular intervals. Can this product be reused? It is not recommended that this item be re-used. The web is set up great! Scanned my script and emailed it, received it pronto! Great service. This company gave excellent service! The catheters are perfect to supplement the ones that come through insurance. They were the best prices that I found for this item. What a relief to know that I now have a backup when my supply runs low from insurance without spending an arm and a leg! Highly recommend Vitality! They arrived quickly! The order was shipped fast. The product is very reliable.